Allahabad University conducts examination for various courses. The university will conduct the entrance examination for Undergraduate Programmes which is known as UGAT, Post-Graduate Programmes which is known as PGAT. Apart from UGAT AND PGAT, there are many other courses for which entrance tests take place such as for Combined Research Entrance Test (CRET), LAT (Law Admission Test), etc. The entrance test is conducted at various test centers which will be updated later on this page. Candidates can check the information related to eligibility criteria, application form results from this page. 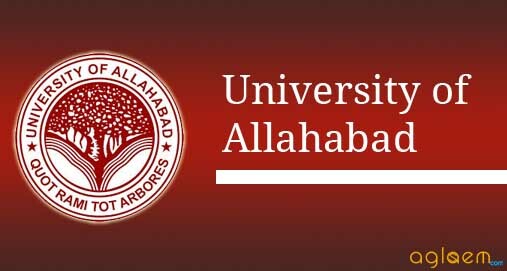 Latest: The registration for Allahabad University 2019 Admission has started now. Candidates may scroll down to check the same. The candidates willing to take admission in Allahabad University will get admissions into different colleges which are affiliated with the university. Candidates who are willing to take admission in Allahabad University will have to either qualify the entrance examination or have to appear for the personal interview round. Candidates can check the information related to important events and dates of different courses offered by Allahabad University from the tables mentioned below. Declaration of Results to be announced! Click here to register for Allahabad University Admission. Candidates should have passed 10+2 or equivalent examination. Candidates should have an Undergraduate degree in whichever field they want to do post-graduation from a recognized university. Candidates opting for Undergraduate courses should have completed 10+2 and if they want to opt for post-graduate courses, then they should have a bachelor’s degree in hand. Candidates should have a graduation degree in any stream from a recognized university. It is to be nnoted that the students who are in the final year of graduation can also apply for MBA AND MBARD. Candidates seeking admission to M.Ed. programme should have obtained at least 50% marks or an equivalent grade in B.Ed. from an institution recognized by NCTE. Candidates applying for this course must not be more than 20 years and if they are SC/ST then the upper age limit is 22 years. Candidates must have a qualified 10+2 degree with minimum of 45% marks. Candidates belonging to any reserved category will get a relaxation of minimum of 2 years. Candidates should possess a master’s degree and they must have scored 55% in post-graduation. For SC/ST candidates the minimum percentage to apply is 50%, in other words, they should have secured 50% marks in their master’s degree. Note: The admit card for any course will not be sent to students individually by post or by any other means. It is important to carry the admit card to the examination center, without the admit card the candidates will not be allowed to sit for the examination. CRET Question paper will be divided into two parts Level 1 and Level 2. Both papers will be conducted in a single meeting. Paper 1 will include multiple choice questions (MCQ) and Paper 2 will include subjective type questions. UGAT Entrance Test will be comprised of 150 questions (MCQ). The entrance test will be of 2 hours duration. Each PGAT 2019 test of 300 marks will consist of 150 Multiple Choice Questions (MCQs). Each correct answer will be awarded ‘2’ (two) marks. PGAT-I test meant for courses mentioned in List I, List II, List III and List IV will be conducted Online as well as Offline. PGAT-II test meant for courses mentioned in List V will be conducted Online only. The entrance test will be of 2 hours duration. There will be 150 questions carrying a total of 300 marks. The nature of the questions will be Multiple Choice Questions. The question paper will be divided into 3 parts. First part will be related to Language Comprehension, second part will be General Awareness and Current Affairs, third part will include questions on Reasoning, Mental Ability, and Legal Aptitude. Every student will be awarded 02 marks for every correct answer and 0.5 marks will be deducted for every wrong answer. The entrance test for B.Ed will be of 2 hours duartion. The question paper will be comprised of 2 sections. On every correct answer, candidates will be awarded 02 marks. There will be 150 questions of total 300 marks in the test. The Admission Test shall have 150 objective type/ multiple choice questions and shall be of two hours duration. The paper will be divided into two parts, Part-A contains 50 Questions related to General Legal Awareness and Legal Aptitude & Part-B contains 100 questions. Each objective type/ multiple choice question shall carry Two Marks (2.0) only. The question paper will include 150 multiple choice questions. For every correct answer, candidates will be awarded 02 marks and for every wrong answer, 0.5 marks will be deducted. The examination will be of 2 Hours duration and will have 100 questions in total. The written tests shall judge applicants for proficiency in written communication, intelligence, propensity to observe facts and use them, propensity to grasp and use quantitative and scientific tools, general awareness, logical thinking, reasoning power, aptitude for management learning and practice, and maturity in terms of personality. There will be 150 questions of total 300 marks in the test. The entrance test for IPS will be of 3 hours duration of 150 objective type questions. The test centers for the above mentioned entrances will be decided by Allahabad University. The venue of the test centers changes from time to time and year to year. It will be available in the Admit Card. Students can check the test centers as soon as the admit cards will get released. The results for all the entrance examinations will be declared online. Candidates will be able to know their scores obtained in the examinations and also their merit rank. After this, one can download and take a printout of the result. For CRET: Click Here to check the syllabus for CRET. For LAT: Click Here to check the syllabus for LAT. For LFAT: Click Here to check the syllabus for LFAT. For B.Ed: Click Here to check the syllabus for B.Ed. For MBA: Click Here to check the syllabus for MBA. For LLM: Click Here to check the syllabus for LLM. For M.Ed: Click Here to check the syllabus for M.Ed. For MBARD: Click Here to check the syllabus for MBARD. For IPS: Click Here to check the syllabus for IPS. For PGAT: Click Here to check the syllabus for PGAT. For UGAT: Click Here to check the syllabus for UGAT. 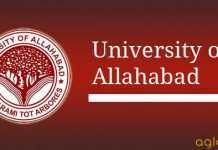 How to prepare for Allahabad University Entrance? Candidates should keep their mind fresh i.e., they should not study the whole day and night. It is important to deviate from studies for a while and refresh yourself to score better. Candidates should manage the time well. Candidates should make a time-table which should tell about how to manage the time and score well. Candidates should remain positive and sleep well. Sleep is utmost important thing, to keep oneself fresh and concentrated, one should sleep on time or as per the time-table. Lastly, candidates should wisely decide which subject should be given more importance than the other and follow those strategies time and again to score better.